Highrock began in 1999 around a dinner table. A small group of believers shared a dream for a church where people of all backgrounds, ages, and ethnicities could encounter Jesus. In time, this small group became a congregation, outgrowing several spaces in Cambridge and Somerville. In the Spring of 2006, Highrock set down roots in Arlington, the current site of our main campus. Redeemer Community Church (RCC) also began in the homes of a small group of people who were passionate about a fresh experience of Christian community in MetroWest Boston. After launching in 2004, they moved from living rooms to worship spaces in Wellesley, then Needham. In 2017, Highrock adopted RCC to create a dynamic and welcoming Christ-centered community with the aim of ministering specifically to those living in the MetroWest region. 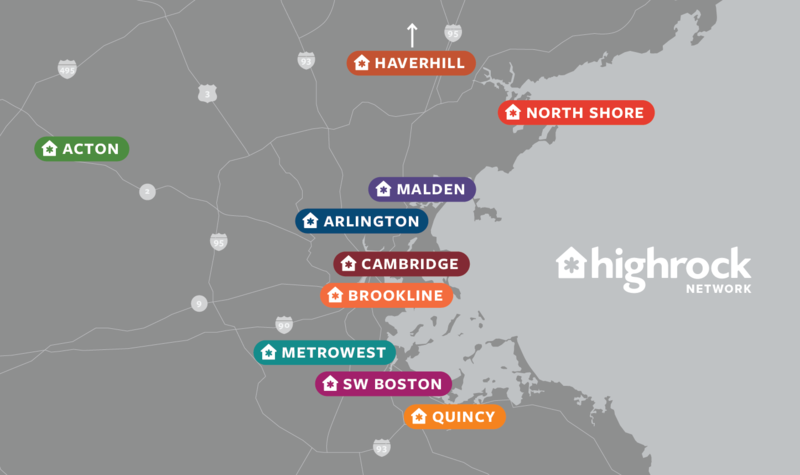 The resulting campus, Highrock MetroWest, joins the diverse and growing spiritual network of congregations worshiping and serving in ten locations across Greater Boston and eastern Massachusetts. We're excited about Jesus and what He can do through the lives of ordinary people. We hope you’ll take the time to get to know us and join in what God is doing at Highrock! Most of God's promises are made not to individuals, but to the collective Christian community called the Church, and apply to all who belong to her. In our uniqueness that results from diverse ethnicities, experiences, preferences, and perspectives, we are reconciled in Christ's one body by a love that compels us to confront, confess, comfort, counsel, and celebrate each other in God's name so that we might all grow in Christlikeness and reflect Christ to a world that longs to see Him still alive among them. We cannot love God, follow Christ, or fully preach the Gospel if we do not love one another, including our enemies. The primary context for individual spiritual growth and Gospel proclamation is Christian community. Through shared laughter, tears, prayers, experiences, and mutual submission, our relationships will become environments in which mutual dignity is protected, truth is shared, and forgiveness is sought, extended and received, resulting in repentance and reconciliation as we enter into the battle for each other's souls against the power of sin and death. We continue God's work of creation and redemption of all creation in our worship, our work, and our relationships as we engage the world as servants of Christ, empowered, energized, and equipped even to suffer for the Gospel so that God's will "will be done on Earth as it is in Heaven," and in order to hasten the day when "every knee will bow and every tongue confess that Jesus is Lord to the Glory of God the Father." As the body of Christ, we want God to do through our body the very kinds of things He did through Christ's body as we imitate our Lord's passion for the least, the lost, and the left out and the lonely. We have been created and called by God, and we want to use "whatever gifts we have received to serve others, faithfully administering God's grace in its various forms." We pray for and invite those who are estranged from our Savior and His Church to experience His Spirit alive in our community. Seeing our love for them and one another that transcends our differences and sins, they will get to taste of our Lord's own love, and long to enter into community, initially with us and ultimately with God Himself. The task of local congregations in every age and every culture is to offer the unchanging Gospel in ways that are attractive, accessible, and allow people to respond to the whole truth of God's transforming love for sinners. Because culture is constantly changing, the Church must constantly contextualize God's Good News for the people they have been called to serve. For this reason, rather than looking for the "best" church model, we realize that all areas of our congregational life will have to be subject to reconsideration in order to continue reaching contemporary people with God's timeless truth. Therefore, we commit ourselves to careful but continual creativity, prayerful innovation, theological reflection, cultural sensitivity, and listening to God at each step. 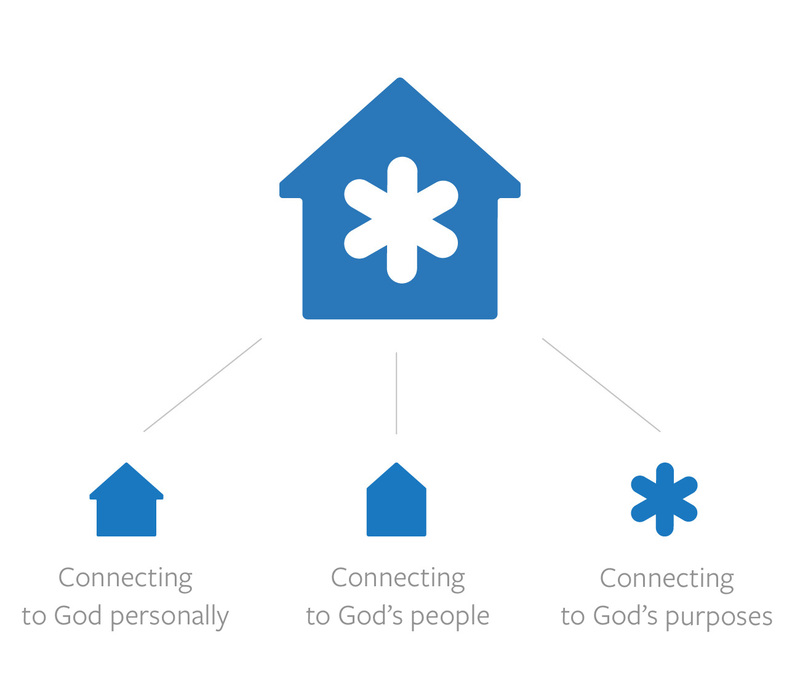 The combination of an upwardly directed arrow, a house, and a starburst, our logo is representative of the three core aspects of what we are all about: Transformation through connecting to God personally, connecting to God's people, and connecting to God's purposes. Highrock MetroWest is a part of a growing network of Highrock congregations worshiping and serving in eastern Massachusetts.